With NiceLabel Print Center 6, workstation labeling activity is centrally logged and managed, providing environments which require label printing on local platforms with the management benefits of server-based systems. All printers and the printing stations are transparently displayed in a globally accessible web interface, allowing you to look into the status and past activity of any individual printer. In addition to printer status control, the Enterprise Print manager offers direct print job management. Queued print jobs can be cancelled or redirected from one printer to another, completed print jobs can be reprinted, activity of printers is displayed in chart reports, etc. 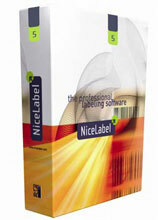 Label design and printing can be performed at any client workstation on your network. This provides a rugged independence from the central system, protecting the activity of label printing from network or server failures. Status changes and printing problems, based both in software and hardware, have a significant impact on the labeling process, and subsequently, production. The advanced alerting system offers the shortest possible response time to errors in the label printing system.